A Christian author, church planter and homicide detective has examined many of the big claims made in the Gospel and used the available evidence to examine whether or not they are true – offering that the case for Christianity holds strong. "Jim Wallace was an angry atheist for many years. Today, he is one of the most thoughtful and winsome apologists for the Gospel I know. Cold Case Christianity is packed with insights to share with skeptics and will give you the confidence to share them," Pastor Rick Warren of Saddleback Church in California writes about Cold-Case Christianity. The author, J. Warner Wallace, answered a number of questions by The Christian Post in an email interview about his book, which was released in January 2013 by David C Cook. While an atheist for 35 years, Wallace dismissed many of the big claims made in the Bible, including the resurrection of Jesus Christ. When the author came to realize that the Gospel can be looked at much like the cold cases he solved as a homicide detective, he applied his skill to the assertions of the New Testament. 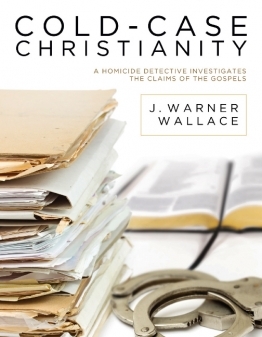 In a preview of Cold-Case Christianity, Wallace says that he came to the "startling realization" that Christianity is as a convincing case as any of the ones he worked on as a detective. CP: What are the advantages to studying the Bible and Christianity from a cold-case investigation standpoint? Wallace: Cold-case homicides are events (murders) from the distant past for which there are often no living eyewitnesses and little, if any, direct or forensic evidence to make the case. Detectives learn how to evaluate and employ circumstantial evidence to demonstrate what happened at the scene of the crime. In a similar way, Christianity makes a claim about an event in the distant past for which there are no living eyewitnesses and little, if any, direct or forensic evidence. Cold-case detectives develop a set of skills that can be directly applied to the examination of the life, death and resurrection of Jesus. CP: What are the biggest misconceptions non-Christians have about Christianity? Wallace: I was a non-Christian until the age of thirty-five. I was often frustrated by the few Christians I knew on the police department because they weren't able to respond evidentially to my skeptical (and often sarcastic) objections. I thought, "How can these folks who seem to have such high regard for evidence in their professional life, believe something about God for which they have no evidence at all?" I was similar to other atheists I knew at the time. I didn't think there was any good evidence to support the claims of Christianity. The more I learned about the nature of evidence generally, and the more I learned about the evidence for Christianity specifically, the more convinced I became that the claims of the Gospels were true. CP: With so much historical evidence behind Jesus Christ, why do so many continue to believe the entire story is fiction? Wallace: Much of my skepticism as an atheist was rooted in the fact I had a presuppositional bias that prevented me from following the evidence where it led: I was a committed naturalist. I refused to accept the possibility that anything supernatural or miraculous could occur or exist. I was being unfair with the investigation from the onset. In essence, I was trying to answer the question, "Does God (a supernatural Being) exist?" by starting with the premise that nothing supernatural exists. It was an exercise in circular reasoning. I rejected any reasonable inference that pointed to God's supernatural existence because I rejected the supernaturalism foundationally. I often say that people "shun" the truth for one of three reasons. They either have ra"shun"al (rational), emo"shun"al (emotional) or voli"shun"al (volitional) objections. In my case, it was the latter. I was very content being the only god Jim really needed; I refused to bend my knee to anyone other than me. As I examined the evidence, I eventually had to ask myself, "Am I resisting this because I think there isn't enough evidence to demonstrate this is true, or am I resisting this because I don't want there to be enough evidence to demonstrate this is true?" I eventually had to admit that I was resisting for volitional reasons. Today, I recognize that God used the evidence as the means to reach me. I was a skeptical evidentialist and God certainly knew that. But God first removed my hostility toward Him so I would be able to evaluate the evidence fairly. When I engage my non-believing friends these days, I am quick to remind myself that it's my job to address the rational objections people have related to evidence; God alone, however, can address the kind of volitional objections that many of us hold. I've learned to articulate the evidence while seeking God's power in prayer.